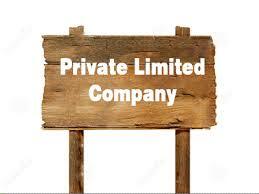 The private limited company is one of the popular structures of business. All you need to do is to register the specified directors with the Ministry of Corporate Affairs (MCA), register the name of the company and submit the company incorporation documents such as MoA and AoA. A private limited company has a minimum of 2 members and a maximum of 200 members. In the digital world, everything is through online. Your company registration process is completely online, so you no need to leave your home to get your entity registered. We are continuously available to help you understand how to register a private limited company. Why choose Pvt Ltd company registration? There is a possibility to grow and expand the business. A private limited company is governed by the MCA, companies act, 2013 and the incorporation rules, 2014. A natural person can be a shareholder as well a director, where a corporate legal entity can only be a shareholder. In addition to that, foreign nationals, corporate entities or NRIs are also allowed to be the shareholders or directors of a company with the FDI (Foreign Direct Investment), making this as the preferred choice of entity for foreign promoters. 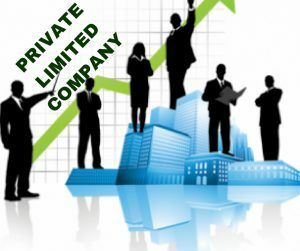 The unique features of the private limited company is a limited liability protection to the shareholders, the ability to raise the equity funds, perpetual existence, separate legal entity, what makes it as one of the most recommended type of business entity for the millions of small, medium-sized businesses which are owned by families or professionally managed. It’s a kind of entity where two shareholders and directors need to be in minimum. If you are a sole shareholder, you have an option to bring your family members like your mother, father or relative to be a part of the limited company with just one single share. Why start-ups always prefer private limited companies? The main thing is that when you set up as a private limited company you can raise the venture capital funding and can offer the best employees stock options. Without the stock and the funding option, it is actually impossible to build a large scale of businesses. Everyone has a doubt on the part of an investment. How much we need to invest in a question we can hear everywhere. You need not invest any money because most of the entrepreneurs do bring the computers and the other necessities at the very beginning. These can be even considered as the assets of the company. In India, private limited companies do not need to have any paid-up capital. Next is about the regulatory requirements: As Pvt Ltd companies are not traded publicly, there are only fewer regulatory requirements. For example, they need not disclose any books of accounts. Because of this advantage, they need to worry only about the long-term rather than bothering about the result if the particular quarter performance is poor. Procedure to register: We started up with the digital signature certificate process, which helps you to complete the new company registration process via online. It hardly takes around 2 days. After that, we apply for the Director Identification Number (DIN), and the next stage is to select the name of the company which is a very crucial step. Because here you do remember that your company name should be very unique and should not resemble any other name. Another thing to be noted is, company name need not be your brand name. Once all got done, we start to prepare the Memorandum and Articles of Association and finally we apply for the certificate of incorporation. 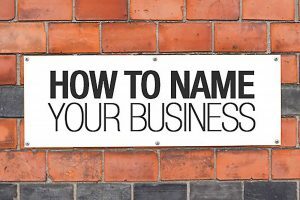 What are the things you need to consider while selecting a company name? The name of the company is the most important one since it creates the first impression to your customer, stakeholders, and the suppliers. It must be relevant, suggestive and attractive. It should be related to the business and fit with the company’s branding. The name of the company should not be the same or identical to an already existing company or a trademark. Plural versions must be avoided. The name of the company must end up with the suffix “Private Ltd” in the private limited company and LLP in the Limited Liability Partnership. The name should be concise so that people can easily recognize and say it easily. They need to recollect your company’s name when they hear or read it in the very first time. It should not be abusive or against the beliefs of any religion. Moreover, it shouldn’t against the law. The Registrar of Companies (ROC) expects the applicant to follow some naming guidelines. Some of them are subjective which means that it purely depends upon the opinion of the officer who is handling your application. Actually, the more you follow the rules, the more it has chances of quick approval. Make sure that your name is unique and available. For instance, when a person chooses the name as Amazon internet Pvt Ltd, it cannot be acceptable since the suffix word ‘Internet” is related to the E-commerce business. There is also some subjectivity that some ROC’s may not even accept the word “Amazon” since it is a well-known brand. Similar sounding will also be rejected. For instance, if we take “Binny Research Private Limited”, the word “Research “ clearly indicates what the business is exactly into. You cannot have the descriptive components in your business names. The names like “XXY, XYZ” whatever it be, when it is full of abbreviations, adjectives, and generic words, then probably it will be rejected. Unless or until you got an approval from the RBI or SEBI for the names bank, stock exchange, and your name obviously will be rejected. The name should not be the same as a registered trademark which is on the IP India website. 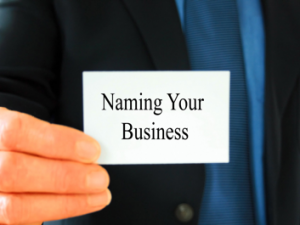 To know more about company name registration in Coimbatore -> Click here.